Handling inherent uncertainty and exploiting compositional structure are fundamental to understanding and designing large-scale systems. Statistical relational learning builds on ideas from probability theory and statistics to address uncertainty while incorporating tools from logic, databases and programming languages to represent structure. 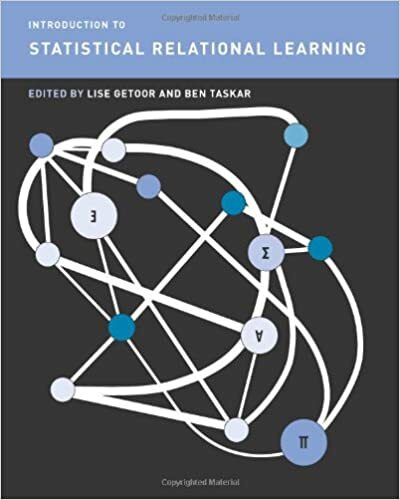 In Introduction to Statistical Relational Learning, leading researchers in this emerging area of machine learning describe current formalisms, models, and algorithms that enable effective and robust reasoning about richly structured systems and data. The early chapters provide tutorials for material used in later chapters, offering introductions to representation, inference and learning in graphical models, and logic. The book then describes object-oriented approaches, including probabilistic relational models, relational Markov networks, and probabilistic entity-relationship models as well as logic-based formalisms including Bayesian logic programs, Markov logic, and stochastic logic programs. Later chapters discuss such topics as probabilistic models with unknown objects, relational dependency networks, reinforcement learning in relational domains, and information extraction. By presenting a variety of approaches, the book highlights commonalities and clarifies important differences among proposed approaches and, along the way, identifies important representational and algorithmic issues. Numerous applications are provided throughout.Lise Getoor is Assistant Professor in the Department of Computer Science at the University of Maryland. Ben Taskar is Assistant Professor in the Computer and Information Science Department at the University of Pennsylvania.